At GoodWorkLabs, we are building a center of excellence for Big Data and work on a myriad of technologies to help businesses leverage their data and acquire new customers. GoodWorkLabs uses a mix of technologies to build a data science software platform for Analysts and Data Scientists to explore, prototype and analyze tons of unstructured or structured data in an efficient way. We focus on creating a unified data platform to help businesses solve the real problems. 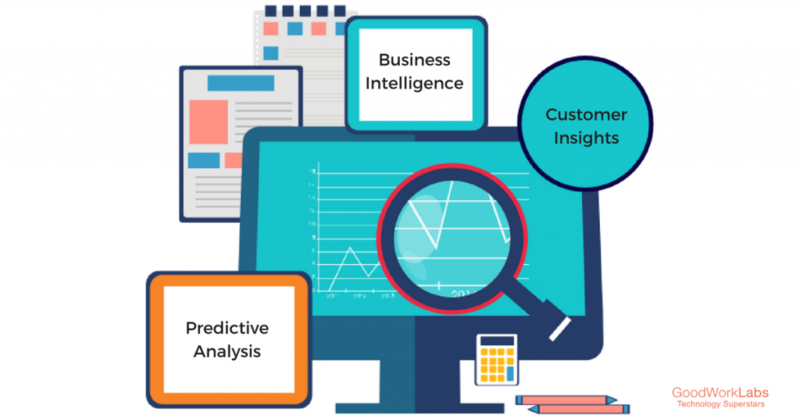 Right from creating an optimized platform to accelerate business performance to providing predictive analysis and customer insights, GoodWorkLabs provides innovative and customized big data solutions for your business. At GoodWorkLabs we understand how Big Data can change your business fortune. We give you the data intelligence that can help you make your business more effective. The best part of big data is that it is not confined to a particular industry. These technologies can be used to access and interpret data across different industries such as Banking, Healthcare, Security, Digital Marketing, Media and Advertising and much more. When you work with our team of data scientists, you can be assured that we use the right technologies to create data pipelines, real-time data analytics and data visualizations that are tailor-made for your business and industry type. Contact our Big Data experts today and set the ball rolling towards a future with better data interpretation and usage.